Who is your favorite dynamic duo? Bert and Ernie? C-3PO and R2-D2? Miss Nelson and Viola Swamp? How about Harry Allard and James Marshall? Dynamic duos are great because they need one another. They rely on each other to bring out their best. Ernie would have never said, "I can't hear you. I have a banana in my ear," without Bert. Uncle Owen would have never purchased R2-D2 which brought him to Obi-Wan and Luke, without C-3PO. Miss Nelson would have never regained control of the students in Room 207, without Viola Swamp. And without Harry Allard, James Marshall would have never created the most popular substitute teacher of all time. What? 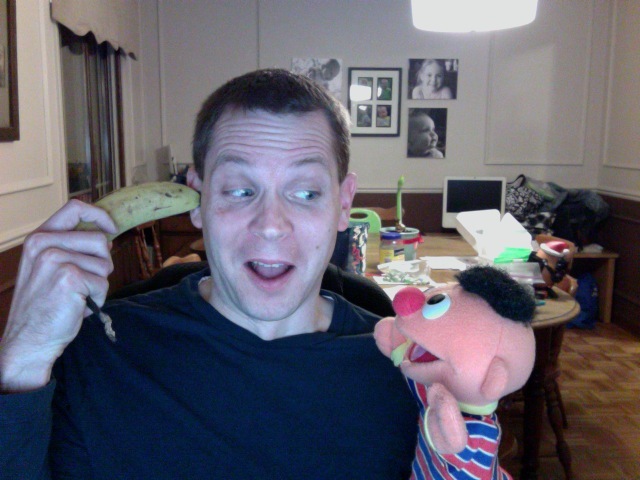 I can't hear you Ernie. Did you say, I can have Bert's job? Harry Allard collaborated with James Marshall to create two highly successful series of children's books including Miss Nelson and The Stupids. According to the Children's Literature Network, "James Marshall's art and friendship inspired" Allard to write the first book that the two published together, The Stupids Step Out. In Anita Silvey's book 100 Best Books for Children she states, "A more-than-generous individual, Marshall, gave Allard the title of author on their books. Actually, for their collaborations, Allard often provided the story ideas, but Marshall, a consummate wordsmith, crafted each line of text with as much care as he drew each image." 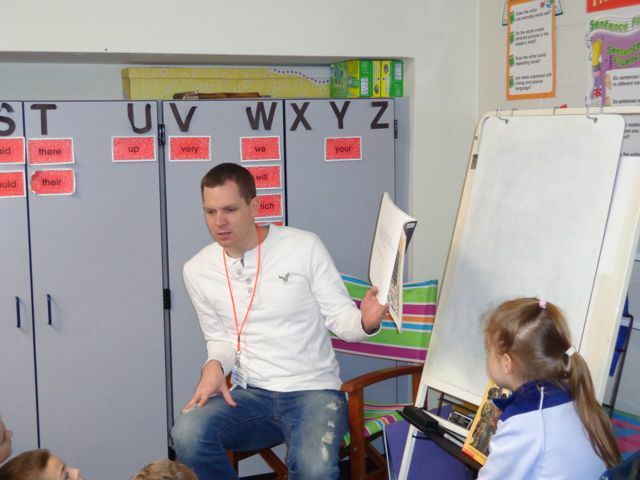 This dynamic duo brought out the best in each other when they combined their ideas and humor into books that school children will enjoy for many years to come. Miss Nelson is Missing! is the most popular book by Allard and Marshall. According to Anita Silvey at Children's Book-a-Day Almanac, "The idea of Miss Nelson was given to Jim (Marshall) by his friend Harry Allard, who called in the middle of the night and said to Jim: "Miss Nelson is Missing!" And then Harry hung up the phone. Jim couldn't reach him, couldn't go back to sleep and began to wonder about this Miss Nelson. In Jim's sketchbooks, he developed his ideas for the book -- as the story progressed Viola Swamp became meaner and meaner." In this story, Miss Nelson has lost all control of the students in her classroom. The students in room 207 are ready to explore even more mischief when Miss Nelson does not show up for school. However, much to their surprise they are introduced to the nastiest substitute teacher public school has ever know, Viola Swamp. She whips the kids into shape with lots of discipline and difficult assignments. When things seem as if they couldn't get any worse, Miss Nelson, the soft-spoken yet clever teacher, returns to a group of well-behaved students that will no longer take her for granted. Over the past few weeks there have been a few occasions that my daughter has been collecting data from her family. Her simple surveys have covered the topics of our favorite foods and things that we like to do. After reading Miss Nelson is Missing! to my children this week, I remembered her surveys and our dinner table conversations about line plots, bar graphs, and pictographs. I contacted my daughter's second grade teacher with a harebrained idea of using Miss Nelson is Missing! as a way for my daughter to further explore her curiosity about data collection and graphing. I am so thankful that she agreed to having us celebrate Harry Allard's birthday with her class. I asked the class if they had read Miss Nelson is Missing! Just about every hand was raised. One boy blurted out, "There are three Miss Nelson books. Miss Nelson is Missing!, Miss Nelson is Back, and Miss Nelson Has a Field Day." (That student is officially cool in my book!) I went on to read the book to them and then finished with a look of concern. I told them that it wasn't a genuine look of concern, because I knew they were a good class. However, I really wanted to help them identify their troubles to keep Viola Swamp from showing up. The students came up with a list of occasions that their behavior is less than desirable -- talking in the hallway, coming back to the classroom after recess, etc. My daughter typed up a survey with the "misbehaviors" for her classmates. She asked them to check one way they have misbehaved. She enjoyed talking about "anonymity" with her classmates. She assured them that this survey was not to get anyone in trouble, but to prevent Viola Swamp from becoming a substitute teacher in their classroom. At home, she tallied the results from her survey. She used the free website, CREATE A GRAPH from Kids' Zone Learning with NCES, to make a bar graph to reflect her findings. On Monday, they will be interpreting this data and deciding a course of action. However, it seems pretty clear that they need to behave better when visitors enter the classroom to talk to their teacher. Thank you to my daughter's wonderful second grade teacher, Mrs. Miller. You allow our daughter to grow as a reader, and you share her love of books and reading. Thank you for having a library of wonderful picture books for your class to read each day, including Harry Allard books! I must take the opportunity to thank my wife, Lisa. I come up with the ideas and write these blogs, but without her as my editor I wouldn't feel comfortable publishing the work for you to read. Thank you for reading all of these posts over the past three years! You bring out the best in me! We are the Happy Birthday Author dynamic duo! My daughter presented the results of the survey to her second grade class. In this photo, she is discussing the MISS NELSON pictograph she made. My daughter said, "The class felt it was easier to read the data with the bar graph." 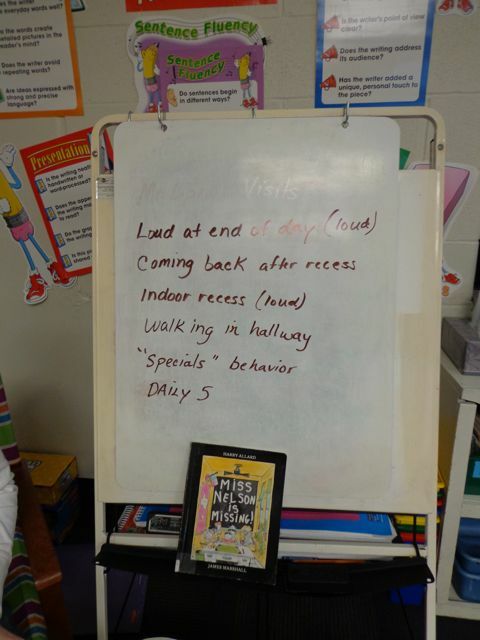 My students and I loved Miss Nelson is Missing when I used to read it to them. It is still one of my favorites. Thanks for commenting Alex. This was my first time reading it aloud to a group of students. It was so much fun! Eric and Ernie!! I like the sound of that! Just don't tell Bert!